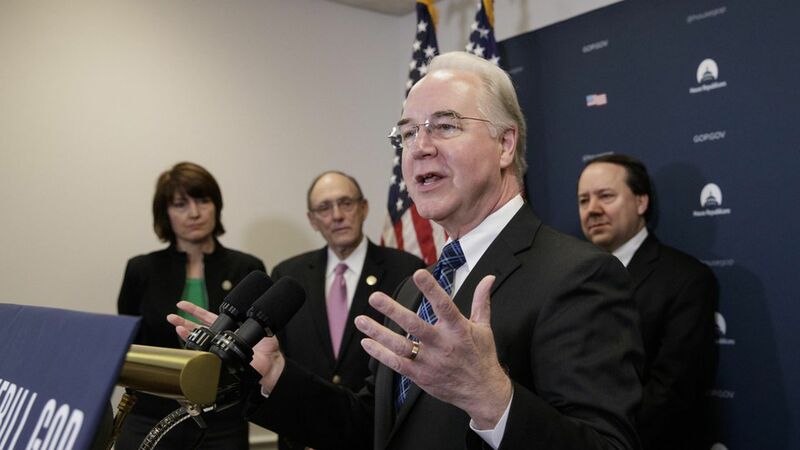 Health and Human Services secretary Tom Price told a House subcommittee this morning that he's OK with President Trump's proposed cuts to the National Institutes of Health, because they might help the federal government get "a bigger bang for our buck." And he promised to "uphold the law" on Obamacare, but insisted that "the current law has harmed many individuals" and said he'll look for ways to let insurers provide cheaper coverage. Read on for the highlights of his testimony on the administration's HHS budget proposal. Defended Trump's proposed 19 percent cut to NIH: "I think what the budget is trying to do … is bring focus to the kinds of things we need to do to get a bigger bang for our buck." Said he wants to support young medical scientists, but was "struck by the need for efficiencies and decreasing duplication" at NIH. "The American people need to know that their tax dollars are being spent wisely." His approach to Obamacare: "What we believe is important is for every American to be able to choose the kind of coverage they want" — but he will "carry out the law of the land." On enforcing Obamacare's individual mandate: "So long as the law is on the books, we at the department are obliged to uphold the law. "But wouldn't commit to making Obamacare's cost-sharing payments to insurers while a lawsuit is in progress: "I'm a party to that lawsuit, and I'm not able to comment. "Wouldn't commit to advertising Obamacare during the next enrollment season. Suggested he's looking for ways to allow insurers to provide cheaper coverage: "The administration is committed to making sure the American people have access to affordable coverage. "Says the insurers he has met with "aren't certain … how they're going to be able to continue to provide coverage, and that's what we're concerned about. "But indicated to Rep. Barbara Lee that he'll still enforce the "essential benefit" requirements: "If your question is what's the law, we're committed to carrying out the law of the land."